Experts who witnessed the events of 9/11 are set to give public evidence for the first time in a Danish court which is likely to cast doubt on the official narrative of what happened on September 11th, 2001. 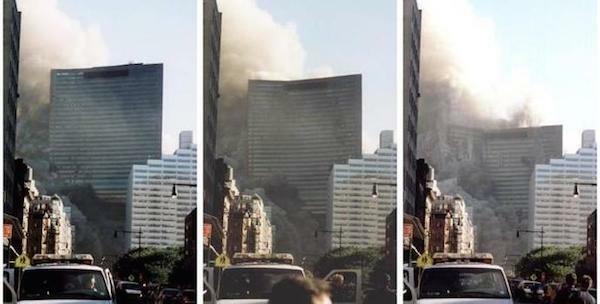 The two witnesses are expected to give evidence which expresses widely shared doubts about the official explanation of the three building collapses in New York in 2001 – especially the collapse of World Trade Center Building 7, which received comparatively little attention in the global mainstream media. The pair will give evidence at the Danish High Court in Copenhagen on Thursday as part of a case brought by Dr. Niels Harrit, who is appealing against the outcome of a libel suit he brought against journalist Søren Villemoes and Danish newspaper Weekendavisen. The court case is regarded as significant by legal and other observers as one of the witnesses, Jan Utzon, is a world-renowned architect and member of AE911Truth, an organization of more than 2,300 architects and engineers who question the official story of the 9/11 events. Another is Dr. Per Hedegård, a physics professor from the University of Copenhagen’s Niels Bohr Institute, who was initially a critic of Harrit’s claims that the highly advanced explosive nano-thermite was present in the dust present in the aftermath of the 9/11 events in the U.S., but has reversed his position and is appearing in court to support Dr. Harrit. The appeal hearing comes after Harrit sued Villemoes and Weekendavisen over an article entitled Madness in the Royal Library which Weekendavisen published in the newspaper on Dec. 7, 2012 and which referred to Harrit and other experts, academics and political activists who have questioned the events of 9/11 as “crackpots”, comparing them to “creationists” and Holocaust deniers. Harrit, the co-author of a landmark scientific paper on the existence of nano-thermite in the dust from the explosions at the World Trade Center on 9/11, is being allowed to submit more evidence to support his original claim against the newspaper after the lower City Court ruled against his libel suit in 2013. Also, Dr. Hedegård is supporting Harrit in a reversal of his former position when an article he wrote in 2010 dismissing Harrit’s claims was used as evidence used against Harrit in the original libel trial. Supported by attorney Mads Krøger Pramming, chairman of the Danish whistleblower organization Veron, Harrit will present a video of the collapse of the WTC 7 building, as well as an actual sample of the dust from the incident in which the presence of active nano-thermite residues has been proven to exist according to a scientific article published in the Open Chemical and Physics Journal in 2009 by United Arab Emirates-based Benthams, a company which publishes scientific, technical and medical literature. And in a separate court case in the UK related to 9/11, Matt Campbell of Sussex will go to Hastings Magistrates Court on March 23 claiming the UK state broadcaster the BBC engaged in “covering up evidence relating to 9/11 and evidence” relating to the murder of his brother Geoff, who was killed inside the North Tower of the World Trade Center on September 11, 2001. He is also expected to be allowed to present evidence and expert witnesses to give statements which he alleges prove the collapse of the three World Trade Center buildings on 9/11 were controlled demolitions. Campbell will claim he has reasonable cause to believe that the BBC had been “willfully complicit in the deliberate cover up of vital and incontrovertible evidence relating to how his brother Geoff was killed” and that the BBC is guilty of complicity with terrorism. Campbell claims the BBC is refusing to inform the public of “incontrovertible scientific evidence relating to free-fall acceleration during the collapse of Building 7”. He also states that the BBC “appears to be supporting a cover-up of the true events of that day”. Representing Campbell’s case is senior litigation solicitor and human rights activist Mahtab Aziz, who also advised documentary film maker Tony Rooke during his trial at Horsham Magistrates Court in 2013. In a case attended by several hundred members of the public and by independent journalists from across Europe, Rooke was charged with non-payment of his TV license fee. In defence, he accused the BBC of “intentionally misrepresenting facts about the 9/11 attacks” in relation to the UK state broadcaster reporting the collapse of the 47-story skyscraper Building 7 on 9/11, 2001, more than 20 minutes before it occurred. The BBC later blamed misunderstandings between the informers on the ground and the reporter for the mistake. Among other experts, Dr. Niels Harrit had been to appear as an expert witness in the trial, but the court rejected Rooke’s application to present Harrit’s evidence. District Judge Stephen Nicholls from Horsham Magistrates Court insisted that the trial would not be “a public inquiry into 9/11”. “This is an offence under section 363 of the Communications Act,” he ruled during the trial. In sentencing Rooke, Judge Nicholls said: ‘Mr Rooke puts the basis of his defence under Section 15 of the Terrorism Act, effectively asking the court to find the BBC is a terrorist organisation and that if he continues to pay them he himself is committing a criminal offence. The judge ordered Rooke to pay £200 costs and gave him a conditional discharge.